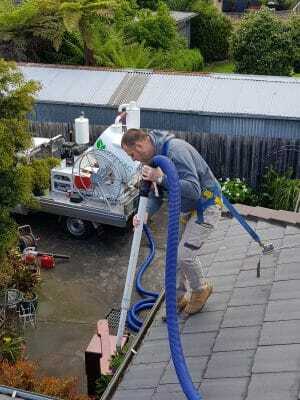 Need professional gutter cleaning in Langwarrin? Climbing up on your roof and cleaning your gutters is probably the last way you want to spend your weekend, so let our team of expert gutters cleaners do it for you. Not only is our service affordable and reliable, it’s also the much safer option and will provide longer lasting, higher quality results. On the day of your gutter cleaning, our fully qualified and insured staff will arrive with a heavy-duty truck mounted vacuum excavator designed to do the best possible job of clearing your gutters. Our gutter cleaning equipment is incredibly powerful, removing even the toughest of dirt, debris, leaves, twigs and pests for the most thorough clean possible. We will even provide you with a before and after photo, so you can see for yourself the difference professional gutter cleaning makes. Regular cleaning of your gutters protects your home against all kinds of damage, with blocked gutters leading to leaks, rotting wood, damaged foundations and infestation of pests like mosquitos, mice and other insects that can present health issues to residents of the property. Call LeafVac today on 0455 488 837 for professional gutter cleaning in Langwarrin that’ll ensure you avoid these potential problems while freeing up your weekend to spend it however you like. Very Professional, Great Job, Good Photos of Before and After. would highly recommend and My wife and I will be booking again! We are confident in our professionalism and excellence of gutter cleaning services and want you to have the same confidence in our work.